Do you know someone who talks a lot about running but prefers to sleep? If so then this could be the perfect mouse pad for them. On this mouse pad you can see a runner ready to run but in a more like sleeping position. Below the picture it says “Horizontal runner”. Of course this mouse pad has a none slip back so that the runner will not move while working on your computer. Need the perfect running gift? 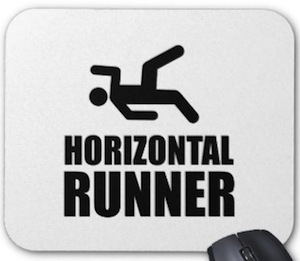 Check out this Horizontal Runner Mouse Pad.